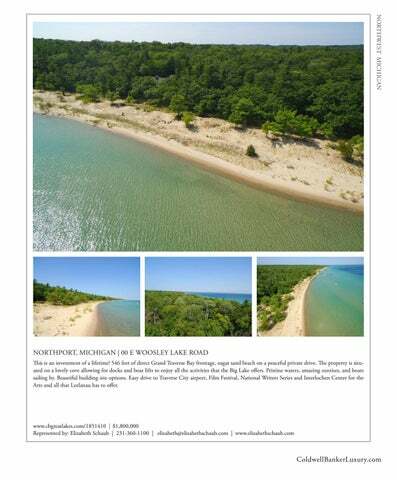 NORTHPORT, MICHIGAN | 00 E WOOSLEY LAKE ROAD This is an investment of a lifetime! 546 feet of direct Grand Traverse Bay frontage, sugar sand beach on a peaceful private drive. The property is situated on a lovely cove allowing for docks and boat lifts to enjoy all the activities that the Big Lake offers. Pristine waters, amazing sunrises, and boats sailing by. Beautiful building site options. 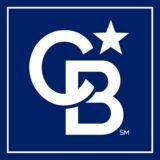 Easy drive to Traverse City airport, Film Festival, National Writers Series and Interlochen Center for the Arts and all that Leelanau has to offer.